Starting on Today, August 15, Android users will no longer be able to install Flash on their smartphones or tablet devices. Say goodbye to the “full web experience,” as Adobe once put it. According to Adobe, if you didn’t have flash on your device when you first got it, it is probably not certified for Flash (list of devices that are certified) and is therefore increasingly unlikely to run Flash content properly. If it’s not already on your device, or if you know Adobe won’t be updating it, then move on. Your experience of using it will only get worse, and you’re also making your device more vulnerable to mal-ware and virus. 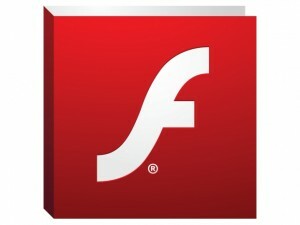 Following some vocal criticism from Steve Jobs in 2011, Adobe stated it would stop development of Flash for mobile handsets and instead move on to HTML5. It’s been nine months since Adobe said it was killing the Android Flash Player, and many more years since Flash-allergic Apple Devices went on sale. These days, people do not turn to the desktop for their web media consumption anymore, and their numbers are only going to grow. Hopefully, content producers will switch over to HTML5 video, or put out a proper app to let users play their content. Why has this not already happened? I don’t know — probably inertia on the HTML5 front and some infernal territorial rights issues in the case. Of course, Adobe will still continue to focus on its strength in the desktop and laptop browser, along with gaming and video, and it still has its Adobe Air product available for mobile. R.I.P. Flash.